When Fidel Castro died, millions of people around the world, reflecting on his inspiring, revolutionary life, were profoundy moved. We received this communication from a Board Member of Witness for Peace, Southwest, Rachel Bruhnke. 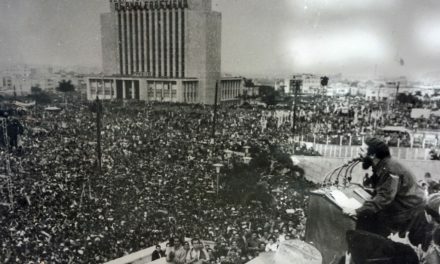 This is a day of enormity, an inevitable day, a sad day, and yet, it is also a very powerful day, power that Fidel himself embodied. When 9/11 happened, and the American people were bewildered, and lied to, and bamboozled into cluelessness about world events, I said at the time that when Fidel Castro died, it would be the same. An event of the same enormity has occurred, and sadly, the ignorance and lies in our “media” will only distort it. They will not clarify, nor truly teach. The people of the whole world will know what has just happened. Except the American people. 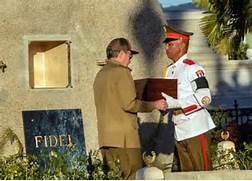 Fidel Castro, the man, is no longer living. But now, with his parting, he has spread inevitably and profoundly even more deeply into the hearts – and most importantly for communists – into the actions of millions upon millions of people, in America and all over the world. Derided as “bleeding hearts” during Ronald Reagan’s wars against poor farmers in Central America, we will humbly, yet proudly answer, Yes. It is human to care for, and to bleed for others. Humus. Earth. Connected, without apology nor equivocation. Che’s words of the revolution of humanity ring clear to me now: “Y seremos millones”…and we will be millions…That we are, today. No lies, no mendacity, no fascist, cruel nonsense will be allowed in our spaces. We will stand up to it all. We will study war no more. Ever. We do not argue with the arguers. We do not appease the fascists, anywhere, in any heart or in any action. We will name you. We will out you. We will resist you. And we will build and show Another Way. Life, you will see, will Trump Capitalism. Amen. And of course, too, people in the end cannot do what Nature does: Sustain us all on this gorgeous Planet, in this gorgeous space called Life. Nature Bats Last. Fidel knew that, and in his last lovely years his focus was on Planet Earth, and on what we as people need to do to survive on it. He focused on three main themes, as I saw it: Nuclear war, climate change, and…growing food. In fact, in several of his last meetings with world leaders, sustainable (ie, life-sustaining) agriculture was his main concern and topic of conversation. Imagine that. What a terrorist. Fascism is derived from the Italian word meaning division. There is no division on Earth, only Unity. 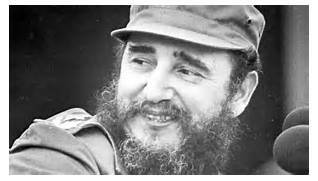 That was Fidel’s magic, to see that unity and to fight for it until his last, lovely god-given breathe. Yes, god. Little g…a “g” that belongs to all of us, that excludes no one. Fidel, history has absolved you. You left a country that is a beacon of resistance and hope and humanity that, despite the Empire’s blockade, too many of us have seen with our own eyes…and the proverbial cat, as they say, is out of the bag… We have been teaching what we know, and we will continue to teach, to “red” and “blue” alike. And we are unstoppable. In my master’s thesis on Cuba’s Energy Transition, I quote philosopher Immanuel Kant: The Actual Proves the Possible. Cuba’s example has proven to us: Another World is Possible. So I do not lose heart. I am sad today, of course. But emboldened and very, very grateful for my understanding, my knowledge and ability to serve. Never fear, Fidel was here. NextA Turning Point for South African Politics?